What does Kishlay mean, details, origin, short & easy attributes? Baby Name Kishlay meaning and Astrology. Baby Name : Kishlay. Gender : boy. Origin : Bengali, Hindu, Gujarati, Hindi, Indian, Kannada, Malayalam, Marathi, Oriya, Tamil, Telugu. Kishlay Meaning: Lotus. Kishlay is baby boy name mainly popular in Hindu religion and its main origin is Hindi. Kishlay name meanings is Lotus. Kishlay is written in Hindi as किशलय . Other similar sounding names can be Kaushal, Kaushala, Kaushali, Kaushalya, Khushal, Khushali, Khusheel, Khushil, Koshal, Kuchela, Kushal, Kushala, Kushali. Each letter meanings in Kishlay Name. Popular personalities with Kishlay Name. 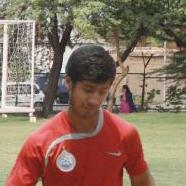 Kishlay Sajwan is a soccer player for the Delhi Dynamos FC, Delhi football team, Churchill Brothers S.C., and India national under-17 football team. Kishlay was born on March 7th, 1994 in New Delhi, India.